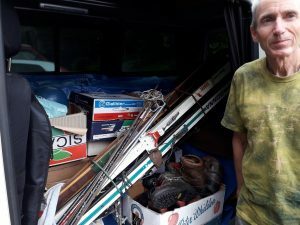 Many thanks to all those who donated equipment and books to the Mountain Heritage Trust. Linda previously posted on Facebook that we had delivered a substantial amount of material to MHT at their offices below Blencathra. They currently have two exhibitions at Keswick Museum. The first is about Chris Bonington and the second about Women and Climbing. We are holding two open rock climbing weekends in April and May 2017, providing the opportunity to find out more about the Club and meet some of its members. These weekends provide the opportunity to meet fellow climbers of a range of abilities and ages, first at the climbing wall and then outdoors. We plan to meet at Awesome Walls, Sheffield on Friday 21 April from 6pm onwards and then at Stanage Edge on Sunday 23 April from 10.30am. For the second weekend we plan to meet at Awesome Walls, Sheffield on Friday 12 May and climb at Birchen Edge on Sunday 14 May starting at the same times. However, it might be raining, meaning a change of outdoor venue, so it is important to contact us in advance (see below). Ideally you will have, as a minimum, climbed indoors, have your own harness, belay device, helmet,and shoes and can tie on safely and belay someone competently. However, the club has some equipment which will be available on both weekends. If in doubt, please speak to Andrew Milne, membership secretary who can be contacted on 0114 2686605 or via the Contact page. 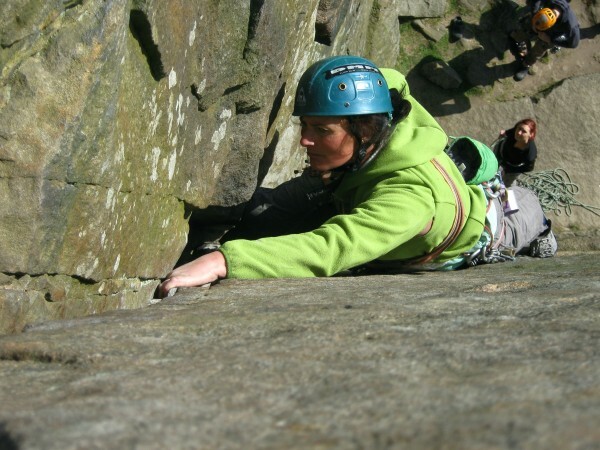 From the Wall to the Crag: Skills for Rock Climbers – Outdoor Climbing. Saturday 6 May. 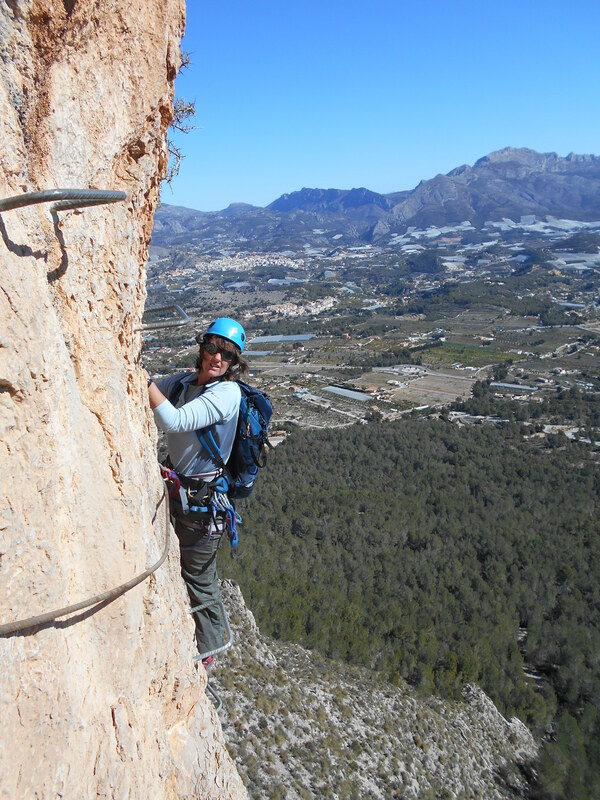 To cover: the crag environment, guidebooks and grades, placing protection, making a belay, belaying, forces in climbing, abseiling, equipment, progressing to leading. The session is free, but if you are not a Club member you must have attended the Open Climbing Weekend on 21/23 April and booked a place. Places are limited to 8. We will take names for another session if needed. We are holding two open rock climbing weekends in April and May 2016, providing the opportunity to find out more about the Club and meet some of its members. Have you spent all winter down at the wall and want to move outdoors? Are you an experienced climber looking for climbing partners? 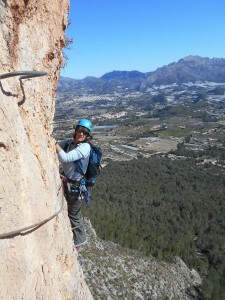 Do you want to find out more about what rock climbing involves? These weekends provide the opportunity to meet fellow climbers of a range of abilities and ages, first at the climbing wall and then outdoors. We plan to meet at Awesome Walls, Sheffield on Friday 22 April from 6pm onwards and then at Stanage Edge on Sunday 24 April from 10.30am. 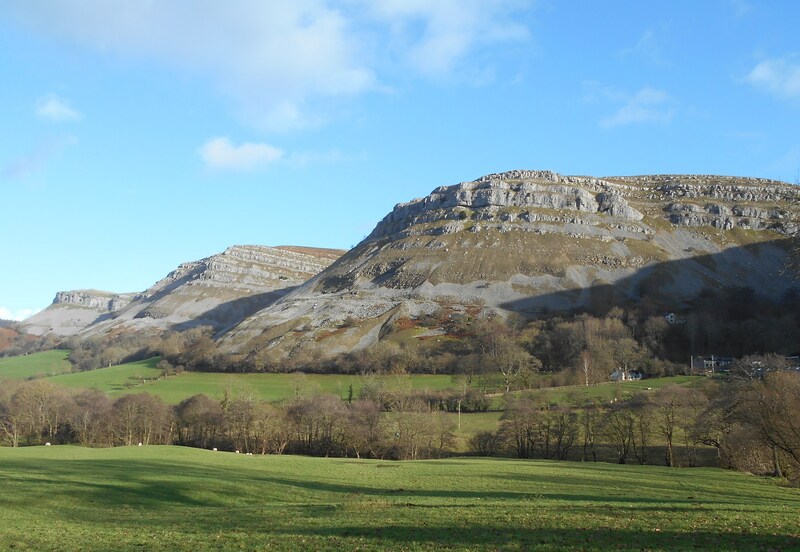 For the second weekend we plan to meet at Awesome Walls, Sheffield on Friday 6 May and climb at Birchen Edge on Sunday 8 May starting at the same times. However, it might be raining, meaning a change of outdoor venue, so it is important to contact us in advance (see below). 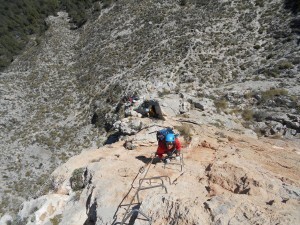 Ideally you will have, as a minimum, climbed indoors, have your own harness, belay device, helmet,and shoes and can tie on safely and belay someone competently. However, the club has some equipment which will be available on both weekends. If in doubt, please speak to Andrew. Andrew Milne, Membership Secretary can be contacted on 0114 2686605 or via the Contact link. Those of an observant nature will have noticed an early post this morning re this meet, from The Organiser. This seriously disturbed a number of members still in bed at the time. Despite dire warnings from the Met Office, a grand total of 8 members and one welcome newcomer, Janet, felt obliged to answer the summons, flooding towards the crag in waves. Remarkably the crag was still dry as we assembled before 10am and frantic rushing about led to a number of ascents, even during the course of a heavy shower. The Organiser, expecting more rain, even took to hanging upside down and wimpering under an overhang before eventually emerging to finish in the dry. However, by 12.30 a more serious downfall led a retreat after a remarkable number of ascents given the short time available. 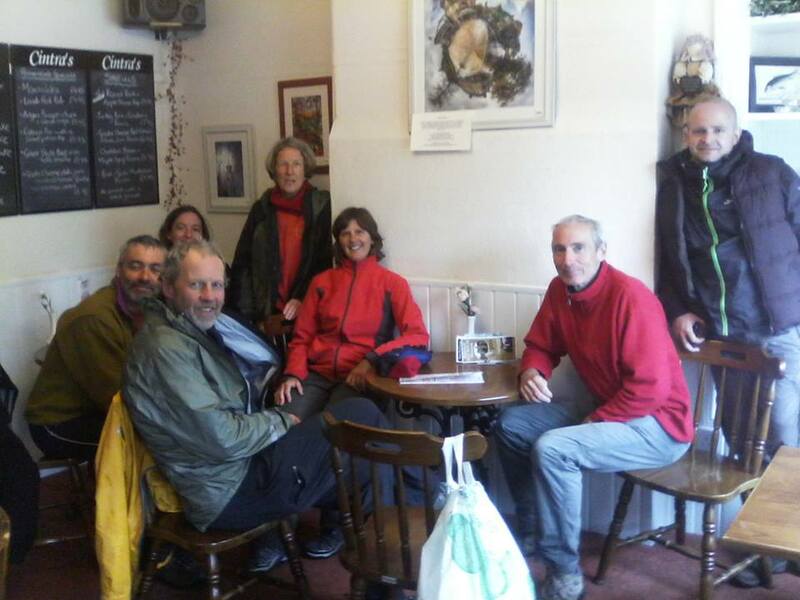 As CMC tradition demands, it was full speed to Hathersage and the Citronella Tea rooms [Outside was full], before serious gear shopping resulted in many pounds being spent and shares in Paramo rising as a result. As usual, The Organiser delegated her task of writing this report to the most gullible member present, which turned out to be yours truly. On a lovely summer’s evening, a select group tackled some of the notoriously difficult routes on the Leaning Block at Higgar Tor, the down climb off of the block being equal in commitment to the routes themselves. Lucky we had Jez to rig an elaborate rope system to get us all off safely. The highlight of the evening must have been “The File” which Jez led with a lot gear, a lot of grunting and a quite a few expletives. I found myself pondering why it was called “The File” – maybe it’s because it’s long and straight, like a file………..Having returned home and seen the amount of skin that was no longer on the back my hands, I realised where it’s name must have come from. Check out some of the other route names on the block! 1. A new meets list for June and July has just been sent out by Andrew. If you have not received one please contact him. 3. Meets. The weather has not been kind this spring with some meets washed out or blown away! For the eleven of us who made it to Scotland over the Easter holidays the weather was warm (too warm!) following snow and strong winds earlier in the week which created significant avalanche risk. Winter mountaineering routes were climbed on the Ben and Stob Coire nan Lochan, while various Mamores were ascended in conditions ranging from 10 metres to 100 kilometres visibility! Four of the team spent a day rock climbing on Poldubh Crags in Glen Nevis resorting to shorts and T shirts to cope with the conditions. Anglesey was much colder and wetter with climbing only possible on the Friday. Llangollen was cold and windy with some rain but Linda and I managed to climb for 3 of the 4 days we were there. Five us climbed at World’s End one of the days, a crag giving some of the best clinbing in the area. The walking was also good with a large group of us being led by Josie on the Sunday. This weekend we have an away meet to Appletreewick in the Yorkshire Dales. See the meets list for further away meets. 4. 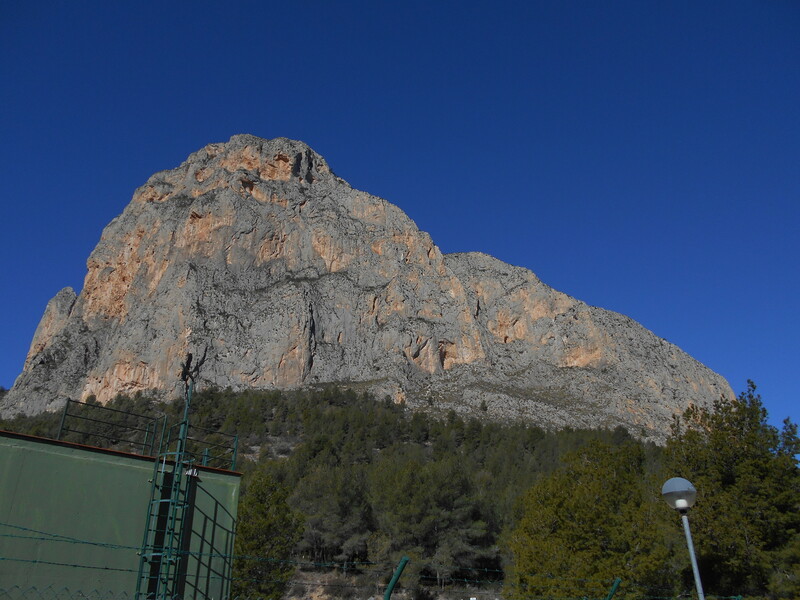 The New Members Weekends/Open Climbing Meets in April were a success for new and existing members alike with the combination of indoor and outdoor climbing working well. Over 20 people climbed on each of the two outdoor days. The Committee have just approved 5 applications for membership – welcome to Ben, Matt, Glyn, Gemma and Sam. Our membership count is now 68. 5. The Annual Photographic Competition was judged by Chris Jackson and won (only just) by Martin Whitaker. We must all try harder to beat him so get snapping! The winning photos will be on the website as soon as I have resolved a couple of technical issues. 6. Training. Linda, Nigel, Jez and I attended a Mountain First Aid course run by member Al Cash in May. 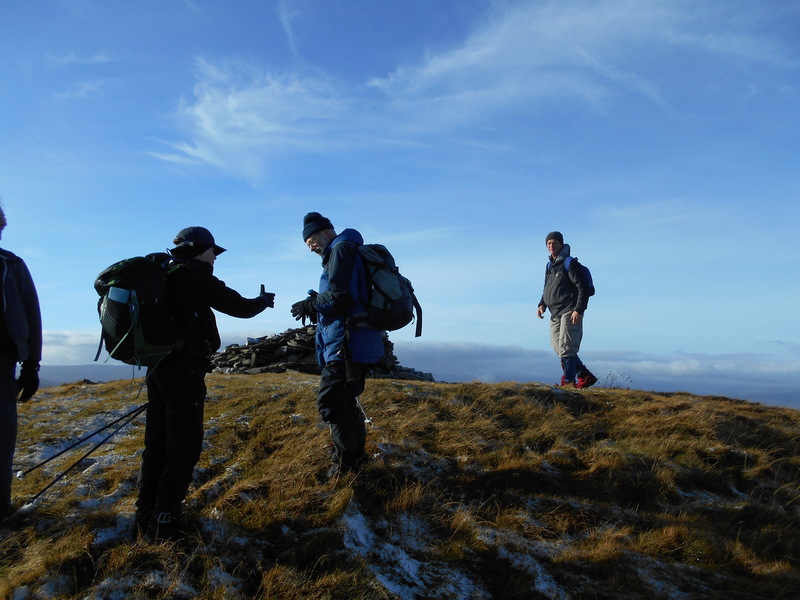 An excellent course leaving us all feeling more confident in responding to emergencies in the outdoors. Further details of Al’s courses can be found on his website: http://gritstoneadventures.co.uk/ Our next training session is Marian’s Navigation evening on Thursday 16 July. Marian has run similar sessions in the past with those attending impressed by how it has improved their skills in this vital area. Remember that as a BMC member you can access training courses subsidised by them. 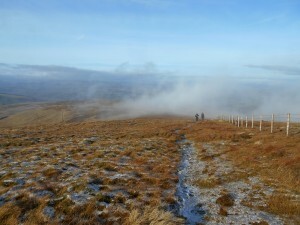 Start here to see what is available: https://www.thebmc.co.uk/active-outdoors-essential-skills-for-an-outdoor-life If you are looking to improve your skills in a particular area please contact me to see how the club can help. 7. Guidebooks. The club has a collection of old climbing guides, mainly from the 1960’s and 1970’s covering areas of Scotland, the Lakes, Wales and the Peak. They all show the signs of use. If you are interested in any of them contact me for further details. 8. 50th Anniversary. The club will be 50 in 2017 and we plan to hold a number of events to celebrate this milestone. The Committee is keen to get your suggestions, so get in touch with one of us if you have any thoughts. One possibility is an digital (and possibly printed) publication containing new and old articles by club members together with an extensive collection of photographs, hopefully documenting every year of the club’s history. If you have old photos or articles or wish to contribute new ones get in touch. 9. Stanage. 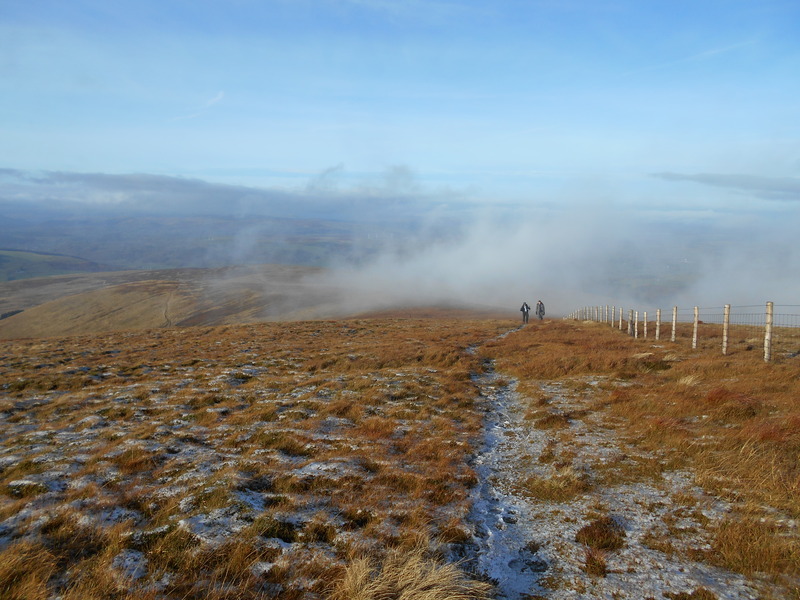 There has been friction between the Peak National Park and outdoor community for several years concernring the management (or lack of) of the North Lees Estate. The Peak Park has now appointed Rebekah Newman as Property Manager for North Lees with control over all issues and budgets. The BMC supports this move and attempts to increase revenue to manage the estate. One approach involves individuals donating £15 per annum to the upkeep of Stanage-North Lees. You get a car windscreen sticker for this which enables you to park in the Plantation car park for free. These are available from Outside Hathersage or the BMC or Peak Park websites. 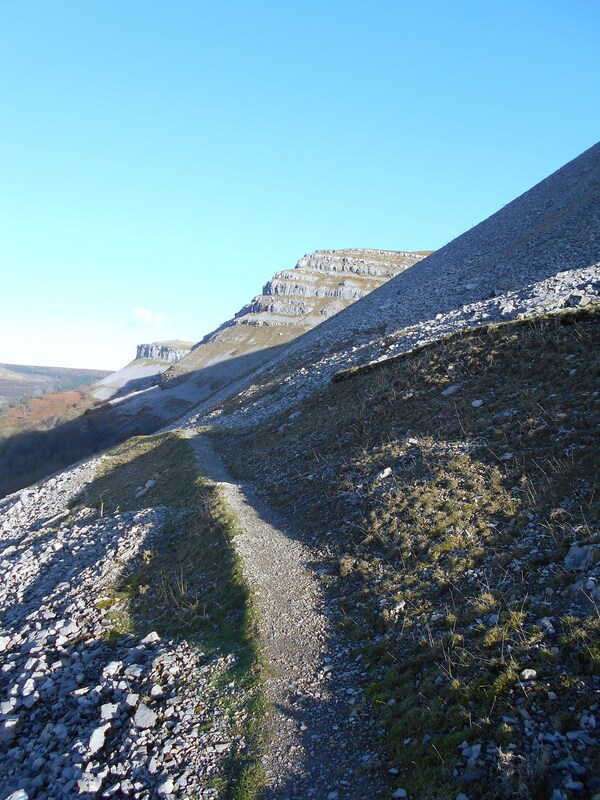 Further details are in the latest BMC Peak Area Newsletter which is accessable from Recent News on our Home page. The latest BMC newsletter is attached. 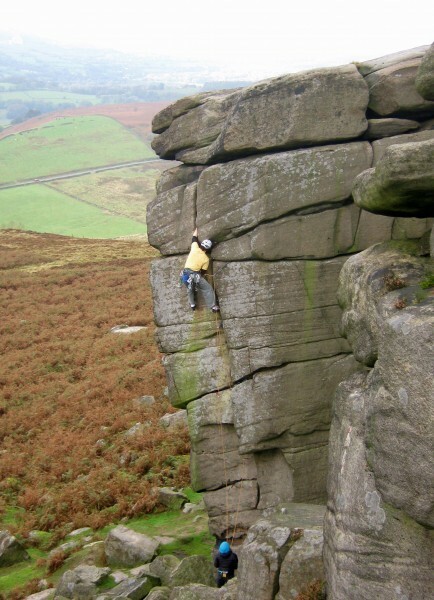 If you are a climber there is important news about Stanage while if your principal interest is hill walking there is news about the BMC’s new focus on you! There is plenty concerning issues relevant to all of us with a passion for the Peak District.